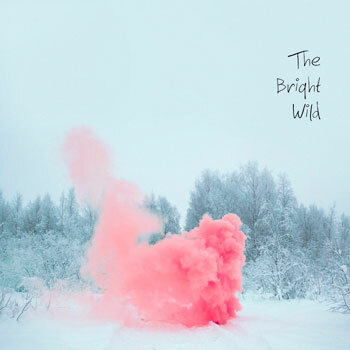 The Bright Wild are set to release their self-titled 5 track EP on 9th October. Featuring sonically lush, slow burning songs with epic finishes, The Bright Wild is a creative collaboration between Los Angeles based Lead Singer Roy Shakked (who has released multiple albums as Holmes over the past several years) and fellow multi-instrumentalist Tal Yardeni who resides half way around the world in Tel Aviv, Israel. A chance meeting in 2014 was quickly followed by weekly FaceTime music brainstorming sessions and a like-minded musical friendship. Back & forth recording session file-sharing would soon culminate in this debut 5 song EP, co-written and co-produced by the two. Shakked and Yardeni put on the finishing touches by recruiting a mean trio of friends to join the cause: Lyle Workman on guitar (Beck, Frank Black), Blair Sinta on drums (Damien Rice) and Tim Lefebvre on Bass (Tedeschi Trucks Band). The result reveals shades of influences from the likes of Sigur Rós, Prefab Sprout, Band of Horses, Snow Patrol, and M83 among others. A full-length album is in the works for 2016.